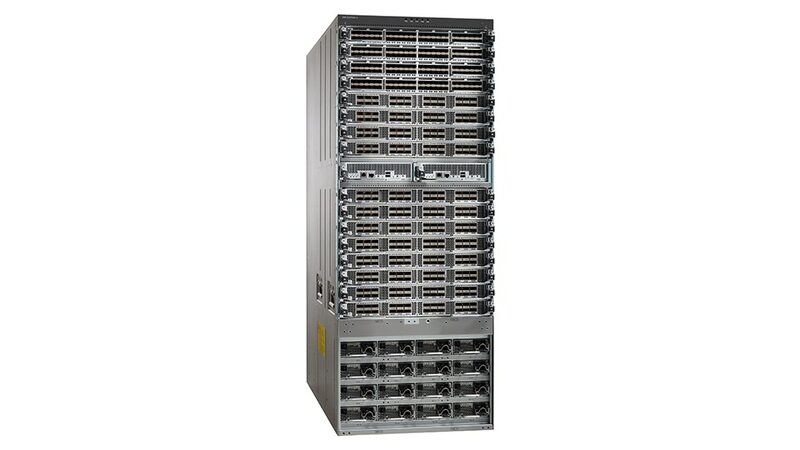 IBM Storage Networking SAN768C-6 has the industry’s highest port density for a SAN director, featuring 768 line-rate 32 Gbps Fibre Channel ports. Designed to support multi-protocol workloads, SAN768C-6 enables SAN consolidation and collapsed-core solutions for large enterprises, thereby reducing the number of managed switches and leading to easy-to-manage deployments. By reducing the number of front-panel ports used on Inter-Switch Links (ISLs), it also offers room for future growth. SAN768C-6 addresses the mounting storage requirements of today’s large virtualized data centers. Enable large, scalable deployment of storage area network (SAN) extension solutions with the 24/10-port SAN Extension Module. Deliver high availability with fully redundant components, and enable exceptional networking capabilities.. Deploy virtual SANs (VSANs) for consolidating physical SAN islands while maintaining logical boundaries. Provide inter-VSAN routing (IVR) for sharing resources across VSANs.